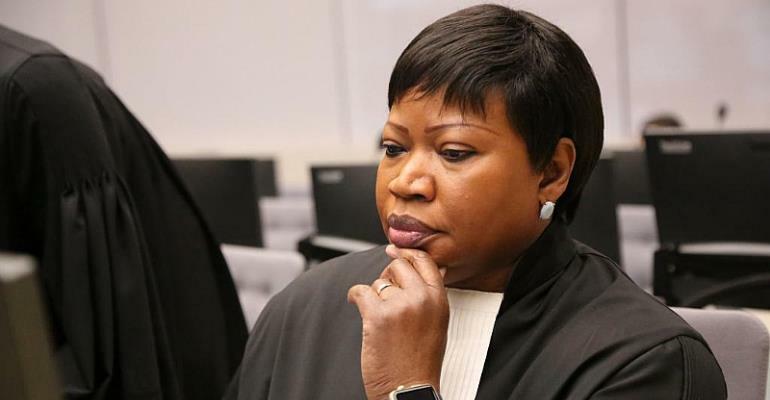 The International Criminal Court, beset by allegations of vulnerability to manipulation, has suffered another blow after the US announced it would not grant ICC Prosecutor Fatou Bensouda or any of her staff visas into the country. According to the Nairobi-based East African Standard, the decision is in response to Bensouda's investigation of possible war crimes by American forces and their allies in Afghanistan. The Standard reports that a 2016 ICC report found what the tribunal described as “a reasonable basis to believe the US military had committed torture at secret detention sites in Afghanistan operated by the CIA”. In a statement US Secretary of State Mike Pompeo warned Bensouda, “If she was responsible for the proposed ICC investigation of US personnel in connection with the situation in Afghanistan, she should not assume that she or any of her staff will still be permitted to enter the United States”. Bensouda's office reacted in a press release stating that the ICC prosecutor would continue to her discharge duties "without fear or favour". The United States is one of three permanent members of the UN Security Council which are not signatories of the 2002 Rome Statute of the International Criminal Court, alongside China and Russia. Professor Douglas Yates, a political Scientist at the American University in Paris, says the ICC's jurisdiction, the alleged crimes in question were committed in Afghanistan, which did sign up to the Rome Statute. According to the professor, the ICC has the legal right to exercise its jurisdiction to hear about crimes committed in Afghanistan. On the issue of threats by US Secretary of State Mike Pompeo to take additional steps, including economic sanctions, if the ICC does not change course, Professor Yates said they were likely to use the power of the dollar and the US banking system to freeze the assets of court members, especially some of the offshore bank accounts that some members of the ICC have been found to possess. Apart from accusation of double standards that has undermined its credibility, the Hague-base tribunal stands accused of being manipulated by some of its founders, notably France, which handed ousted Ivorian President Laurent Gbagbo to the ICC even before he was charged. Fatou Bensouda was forced to investigate two of her staff suspected of leaking 40,000 internal document revealing behind-the-scenes manoeuvres by ex- prosecutor Luis Moreno Ocampo to help high profile suspects escape trial. Despite the problems of implementation facing the institution and accusations of unfair treatment of Africans, Professor Yates argues that it will be wrong for African Union members to withdraw. “The countries that have withdrawn or threatened to pull out, were dictators who didn't want to be held accountable for their acts, such as Burundi, The Gambia and Robert Mugabe's Zimbabwe,” says Yates. “Those crimes would go unpunished if we don't have some kind of legal international structure, higher than national and regional level that can escape national politics,” Professor Yates argued.